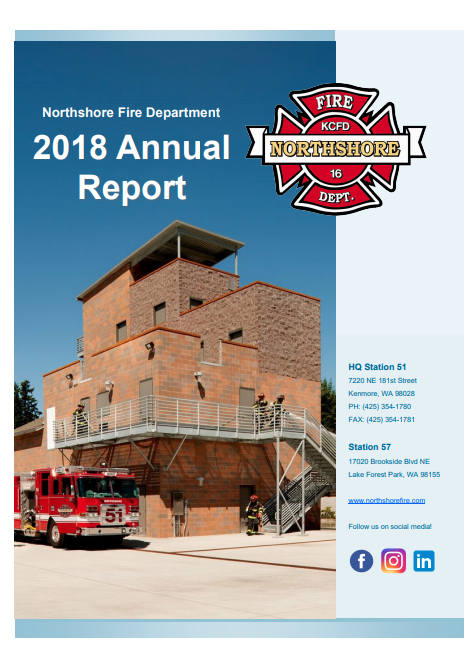 Northshore Fire is excited to share our 2018 Annual Report, highlighting events and accomplishments of the last year. Click HERE to meet our newest hires, learn about our latest equipment upgrades, and see some of the things we do when we’re not fighting fires! Northshore Fire serves Kenmore and Lake Forest Park, with stations in each city.